Saved thousands of tax dollars and maximized the number of officers on the street for public safety by avoiding law enforcement daily attendance in Magistrate Court. Created a Truancy Reduction Initiative to get elementary kids back in school and attack juvenile crime. Established a Victim Services Division to provide services and support to victims of crime and witnesses to crime. Our office prosecutes crime in Kanawha County and supports victims of crime. We have over 40 employees working everyday to serve the people of Kanawha County and fight crime. We are made up of prosecutors, victim advocates, investigators, and support staff. Our office works closely with various law enforcement agencies that investigate crime. 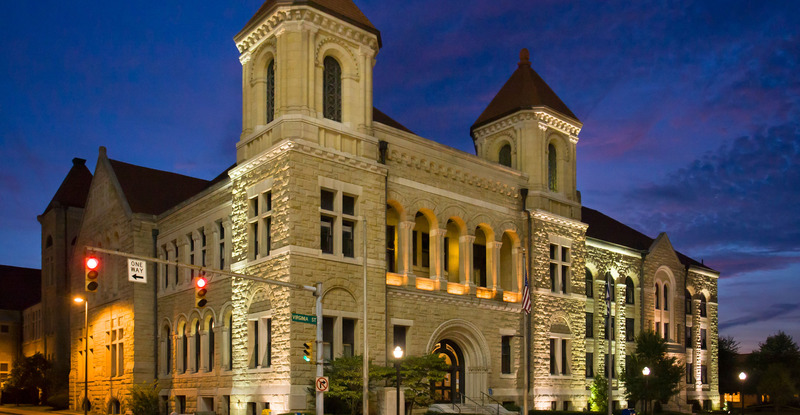 The Prosecutors office is contains three major divisions: the Circuit Court Division, the Magistrate Court Division, and the Victim Services Division. If you are a witness or victim of a crime and have any questions please do not hesitate to contact our office at (304)-357-0300. Victims of crime may also contact our victim advocates at the Victim Services Center at 304 357-9001. This division prosecutes all misdemeanor cases in Kanawha County Magistrate Court. Generally, misdemeanor offenses are less serious than felony offenses and carry a maximum of one year in jail. There are 4 assistant prosecuting attorneys who are responsible for all pretrial hearings/motions, conducting witness and victim interviews when necessary, and preparing for trial. There are 10 magistrate court judges in Kanawha County. One magistrate, hears all preliminary matters involving juvenile respondents. There are 2 assistant prosecuting attorneys who prosecute juvenile offenders.